After a brilliant day at Hednesford Park’s ‘It’s a Knock Out’ competition, a super smashing £127.85 was raised. A special thanks should go to The Friends of Hednesford Park who revived the brilliant event once more. Despite a damp start and a few showers, the Carnival was a great success. The Hibbs Lupus Trust held a tombola stall with some great prizes available. Thanks goes to B&M stores Cannock for donating a number of the prizes and to the team of volunteers who once again gave up their time to host the stall. Two teams of competitors represented the Trust: Alex, Hettie, Emma, Lucy, Chantelle, Lauren, Tom and Dave. All players from Cannock Hockey Club. The team of stealth competitors took on the mighty assault course and gave it their all. Thwarted at times by rain and gales, they persevered and great fun was had by all. To top off the special day, our team of competitors each made a donation to the trust adding an extra £80.00 to the funds raised on the day. 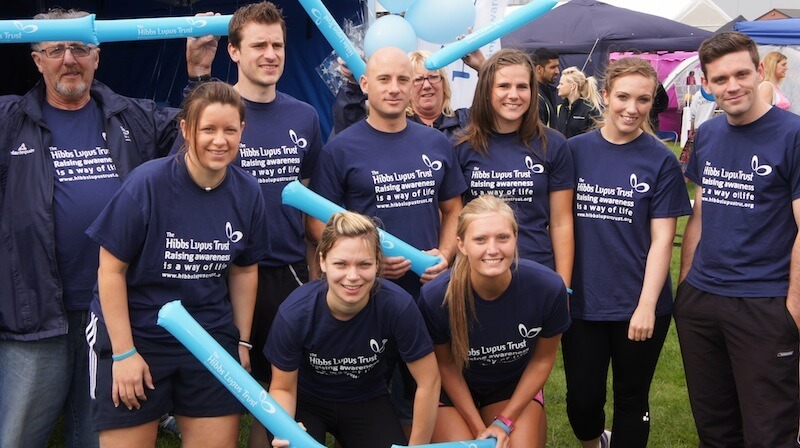 Thank you Team Hibbs Lupus Trust – you were great sports & did us proud!